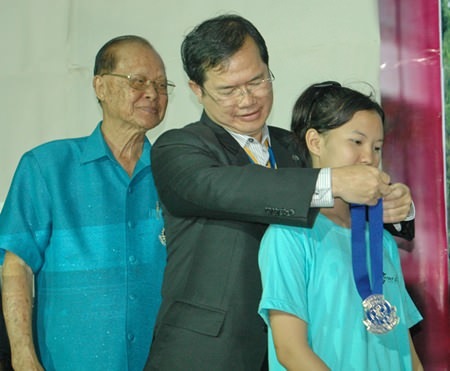 The Rotary Club of Pattaya-backed Interact Club of Banglamung School kicked off its 22nd year with the installation of a new teen president who plans to work with Rotary and pursue an agenda set by the student board. 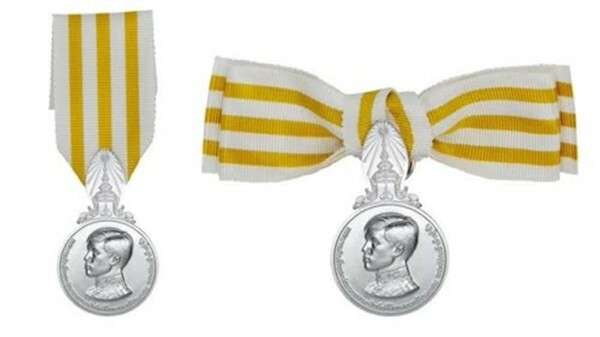 Lalita Phetphuang succeeded Suchakorn Krajangjit for the 2013-14 year, accepting her presidential medal from top Rotary District 3340 officials July 27. 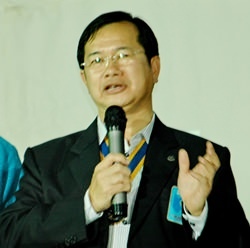 Father Picharn Jaiseri, president of the Rotary Club of Pattaya for 2013-14, presides over the ceremony. 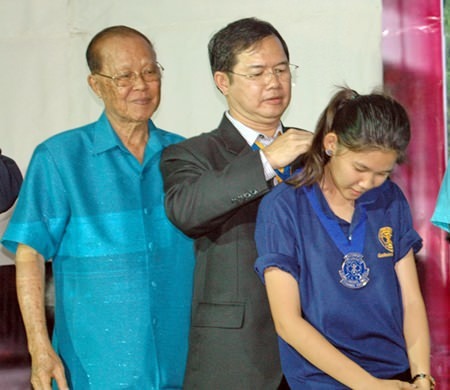 Initially sponsored by the Rotary Club of Jomtien-Pattaya, the Interact Club of Banglamung School was founded in 1992 to encourage teenagers to get involved in community work. 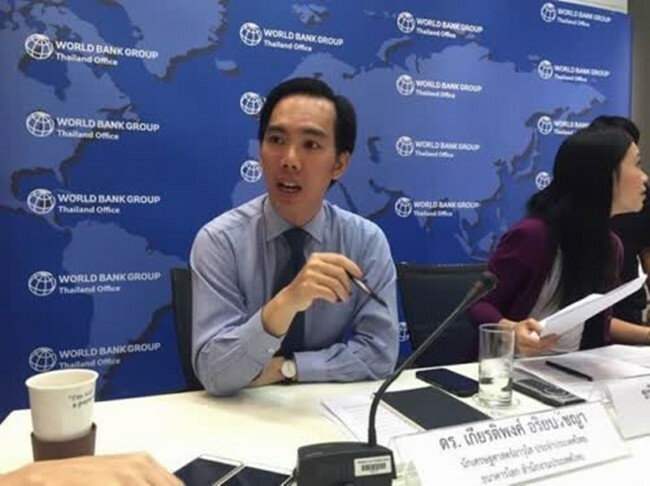 In an interview with Pattaya Mail on TV, the new president didn’t outline any specific goals for the year, but said she will continue work on projects already proposed. The Interact Club is now under the umbrella of the Rotary Club of Pattaya. Club President Rev. 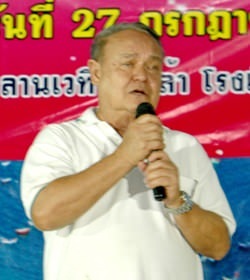 Michael Picharn Jaiseri presided over this year’s ceremony with past district governors Jin Srikasikorn, Premprecha Dibbayawan, and Pratheep Malhotra attending. PDG Premprecha Dibbayawan congratulates the new Banglamung School Interact Club as outgoing president Suchakorn Krajangjit looks on. 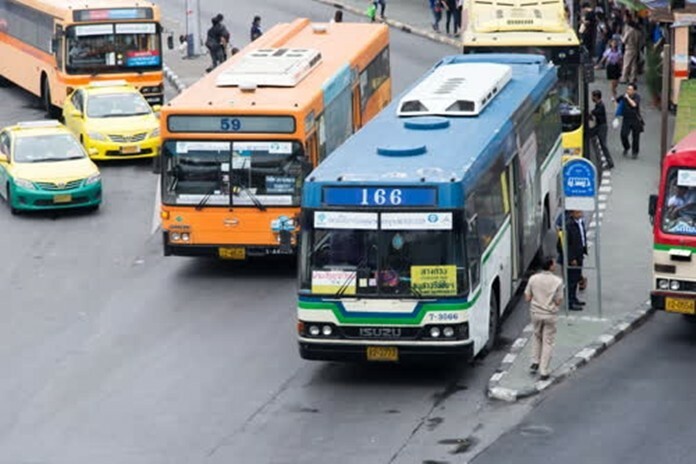 “I have to praise the members of Banglamung School’s Interact Club for working together and sacrificing to organize socially beneficial activities for 22 years,” Jaiseri said. 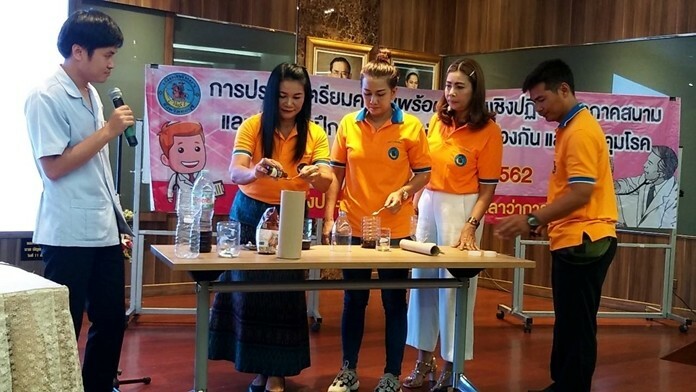 Outgoing President Suchakorn said she was proud of the club’s achievements during her term, which included organizing free eye exams for students, building a meeting room at Khanun School in Srisaket, and joining the Pattaya Rak Center to campaign for the prevention of sexually transmitted diseases. 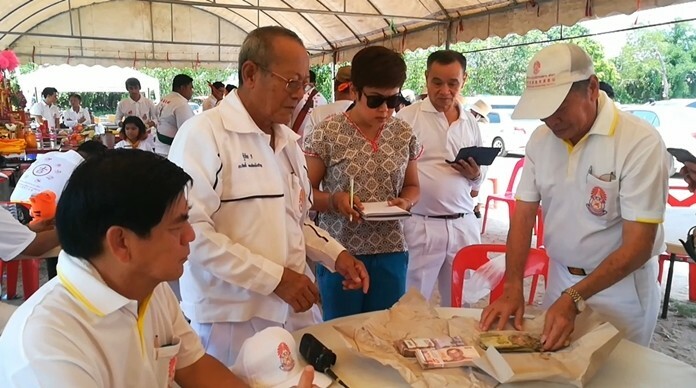 The club also received 12,390 baht in donations from Rotary members to start the year. Rotary leaders pose with new Interact club members for a commemorative photo. Father Picharn Jaiseri removes the president’s sash from outgoing president Suchakorn Krajangjit. Father Picharn Jaiseri presents the president’s sash to new president Lalita Phetphuang. 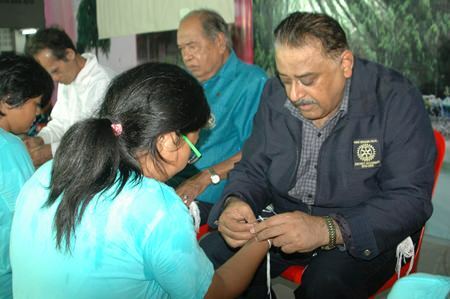 Rotary leaders tie sai-sin around the wrists of the Banglamung School Interact Club’s new committee. PDG Peter Malhotra joins Rotary leaders in tying sai-sin around the wrists of the Interact Club of Banglamung Schools new committee. 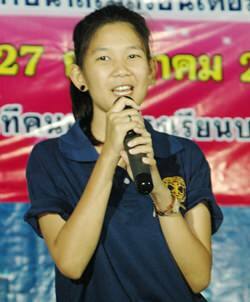 Suchakorn Krajangjit, outgoing president of the Interact Club of Banglamung School launches the ceremony. 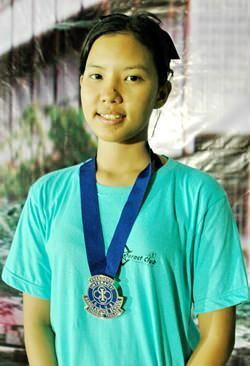 Lalita Phetphuang proudly wears her presidential seal from the Banglamung School Interact Club. 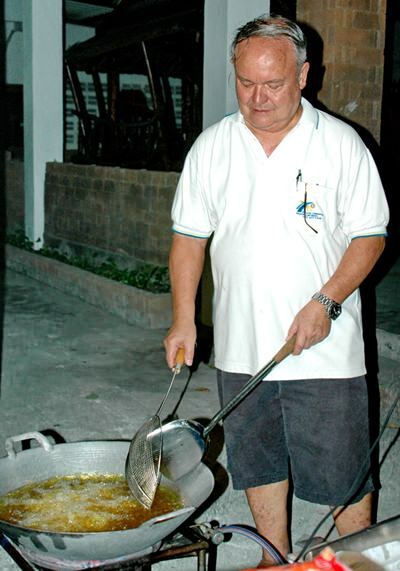 Past district governor, Premprecha Dibbayawan cooks up a storm to feed the children and the adults. Presenting the new 2013-14 administrative committee of the Banglamung School Interact Club.